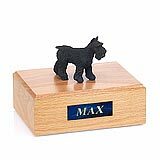 "I just received my library edition urn for my best buddy, Victor. 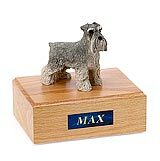 I'm just thrilled with it. 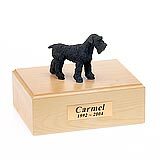 Once I stopped crying, I immediately placed the sealed box with his ashes, paperwork from the pet crematory, his collar, and a couple other remembrances in the urn. 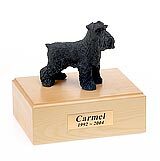 It then got placed on a bookshelf among my favorite books. 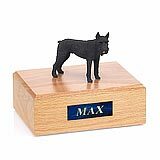 Your personally addressed and signed note is such a nice touch, thank you for taking the time to do that for your customers. 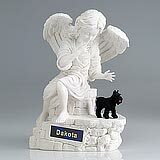 Thank you for making a very difficult time a little easier. 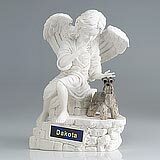 Now I can look at "Victor's books" and smile. " 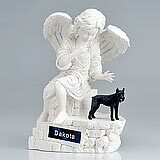 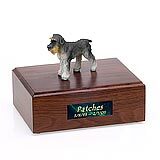 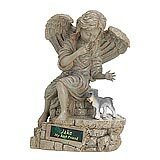 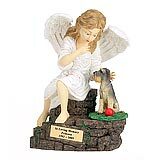 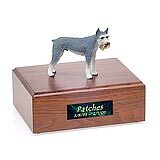 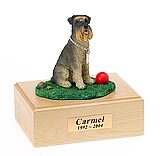 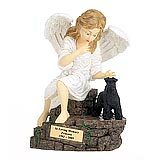 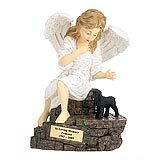 All available Schnauzer dog urns and memorials will be displayed with the figurine on the Schnauzer urn you select and in the appropriate size.